First, you'll want to write out a variety of money amounts on the inside of the cupcake liners. If you choose, you can keep the totals under a certain dollar amount, such as $1 or $5. 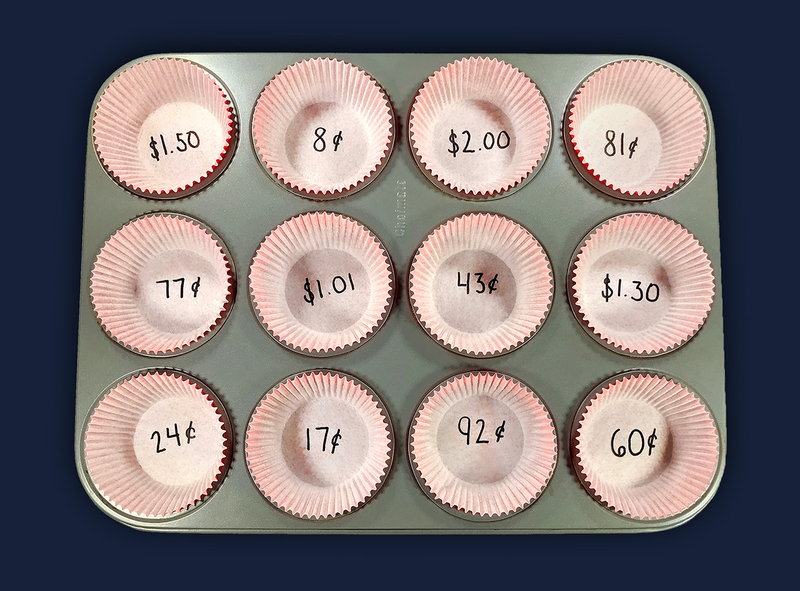 When all the amounts are written on the cupcake liners, you may wish to put them inside a muffin tin to hold them in place. Now you're ready to begin the activity. 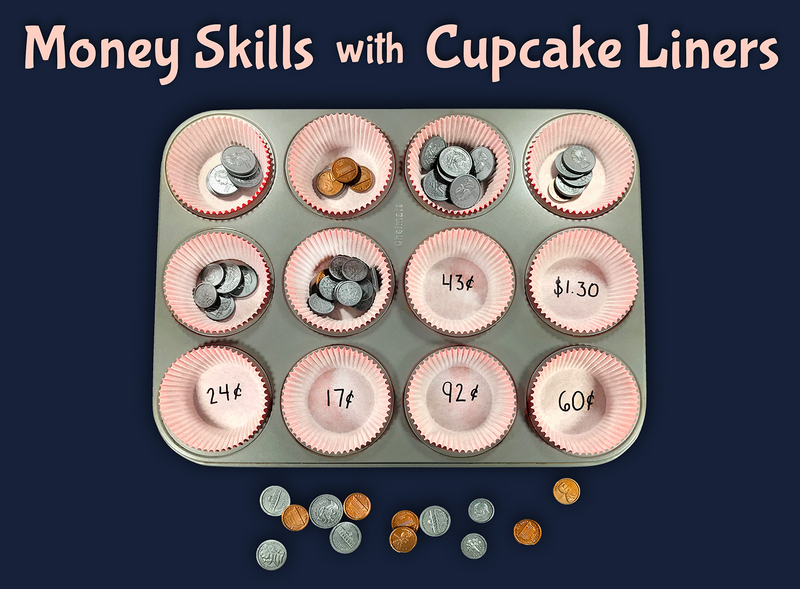 Students will count out the plastic play coins to match the money amount in each cupcake liner. Once they've counted the coins, they can place them inside the cupcake liners. When they are finished with the activity, it will be easy for you to go back and check their work. You can also do this activity with Canadian, Australian, and U.K. coins. What are your favorite money skills activities to do with your students? Would you try out this counting coins activity with your class? We'd love to hear from you! Please share your feedback in the comment section below. Be sure to visit iKnowIt.com and explore our collection of hundreds of interactive math lessons for elementary-aged students! 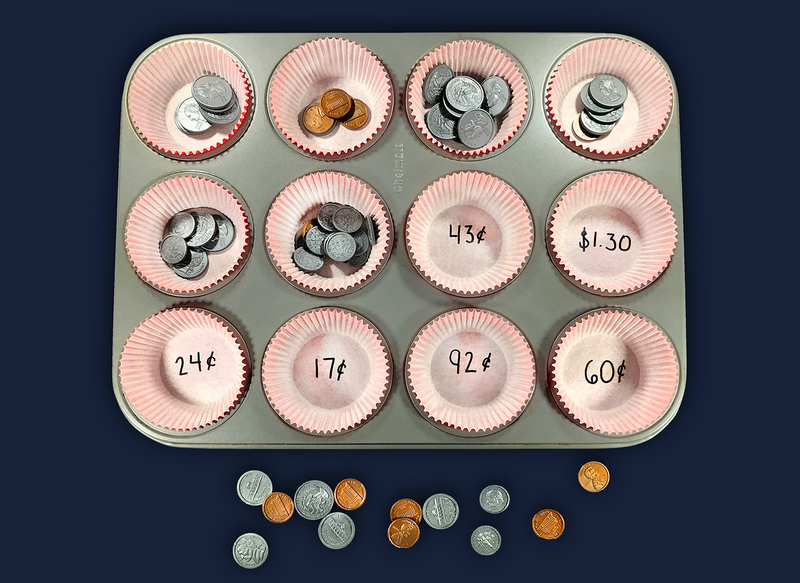 Try out this first grade Counting Coins up to $1.00 lesson with your students today, and see the difference interactive math practice can make in your classroom!